Despite outrage from some lawmakers who called review of Colorados health exchange a mockery, a bid for an additional $125 million in federal dollars is likely to move forward by next week. I would anticipate that we will sign off on this, said Sen. Irene Aguilar, D-Denver. This (federal) money exists. If we dont take it, were going to have citizens picking up the costs for their premiums. Our goal is to have the most successful exchange in the country and this is part of that. Aguilar anticipated sticker shock over such high costs, but as chair for the legislatures exchange review committee, she and vice-chair, Rep. Beth McCann, D-Denver, can authorize the grant request. The 10-member oversight committee did not take a vote and has no plans to do so before the legislative session ends Wednesday. Members of Colorados health exchange board plan to meet again to finalize the grant application before exchange managers must submit it next week. Republican members of the committee scolded exchange managers for dramatically boosting the estimated costs to run the online health insurance market, which is supposed to make it easier for uninsured people to find and buy private health insurance. I am stunned, shocked and horrified at this proposal at this time, Sen. Ellen Roberts, R-Durango, said early Tuesday when exchange managers came to the legislature to ask for approval for a new federal grant request. The new $125 million grant request is far larger than two previous federal implementation grants of $18 million and $43 million respectively. In earlier cost estimates, exchange managers have predicted that the exchange would cost $22 to $26 million a year to run. Roberts said she had only seen the drafts seeking $125 million more in federal cash for the first time on Tuesday morning and could not possibly live up to her obligation to properly oversee Colorados health exchange. She called the review process a mockery. In part because some states are refusing to build their own health exchanges, there is more federal money available to states like Colorado that are building exchanges. And the U.S. Department of Health and Human Services is now allowing states to request implementation funds for costs that stretch well into 2016. Colorados health exchange is supposed to open for business on October 1 of this year for plans that will cover people starting on Jan. 1 of 2014. Previously exchange managers planned to ask for funds to build the exchange and run it during 2014. Lawmakers on Tuesday scolded sxchange board members and managers. 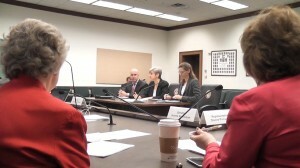 Testifying were Rob Ruiz-Moss, an exchange board member who works for Anthem Blue Cross and Blue Shield, exchange CEO and executive director, Patty Fontneau and board president, Gretchen Hammer, who is also executive director for the Colorado Coalition for the Medically Underserved. Now, with looser federal rules, they are asking for additional funds. For instance, managers are considering using $3 million in federal funds to buy a building in Colorado Springs that will house the exchanges call center. Previously, managers planned to rent the space and cover those costs as an ongoing expense. Sen. Kevin Lundberg, R-Berthoud, joined Roberts in his frustration with the exchange managers saying that he was disgusted and flabbergasted. Just last week in a health committee meeting, Lundberg said he asked about costs for the exchange and recalls managers telling him theyd be $48 million in 2013 then $22 to $26 million thereafter. This adds an extra $60 million over the next three years, Lundberg said. Last week Im told one number. Somehow its magically changed. Exchange CEO and executive director Patty Fontneau told lawmakers that Colorado is applying for federal grants to save Colorado taxpayers money. Our main and primary goal is how do we do this while keeping costs to individuals in Colorado as low as possible? She said Colorado is right in line with other states including Washington that requested a similar grant for $127 million and Maryland that applied for one for $123 million. Sen. Jessie Ulibarri, D-Commerce City, defended the $125 million request. If we dont receive (the grant) these funds will go to another state, Ulibarri said. We as Colorado taxpayers are paying into this fund. He said Colorado should reduce health costs for its citizens by applying for the funds. 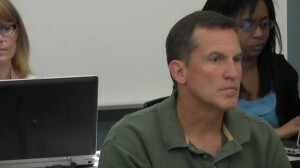 On Monday, during an exchange board meeting, a similar schism erupted between board members. Dr. Mike Fallon, who owns urgent care clinics, said the exchange should be run like a lean business operation. What Im a little bit aghast at is that we are now an entity closing in on $200 million to sell insurance, Fallon said. I dont think we need $125 million. We are supposed to be a market savvy business operation, not a government entity. Just because other people are doing it (asking for additional federal dollars) doesnt mean we should. On the opposite side, Arnold Salazar, executive director of Colorado Health Partnerships, LLC, said Colorado should be applying for as generous a grant as possible. We are implementing an exchange that we know nothing about. Its never been done, Salazar said. He added that its impossible to accurately estimate how much its really going to cost and that it will be difficult to go back to the federal government and backfill with new grant requests later. Telluride businessman and board member Richard Betts seconded Salazars opinion. The No. 1 reason businesses fail is a lack of proper capitalization, Betts said. We need to make sure we ask for enough money. We made certain promises of accomplishments in the first 18 months. Several board members wanted additional funds for navigator programs. In previous board meetings, exchange managers estimated that they would need at least $20 million to successfully help people sign up for health insurance. People who have never before had insurance could need at least 90 minutes in a face-to-face session with someone who could help them through the complicated process. The federal grant request so far includes a specific request of about $10 million for an assistance network. But Fontneau has said other sources of cash could bring the funding for navigators to about $14 to $16 million. Fontneau told both the board members on Monday and lawmakers on Tuesday that she and her colleagues are building a sophisticated web-based marketplace. She said the grant application includes funds for a creative and celebratory public outreach campaign and that the exchange supports options for small businesses and the opportunity to connect the public and private sectors, although she emphasized that there will be only minimal interoperability between public systems like Medicaid and the health exchange. As for the increased cost estimates and the much larger than expected $125 million grant request, Fontneau said that exchange managers had a new understanding of federal rules. We had understood that when they said we had to be self-sustaining by December 31, 2014, that meant no federal funds could be used after that, she said. When we pulled the grant request up, it says that the grant can be used for three years.